I’ve coordinated this dinner just because Jessica’s back in town for the weekend and Robyn told to me that she never tried tapas before. Since I’ve been to Alta last June and had a fairly good experience and that it’s a great for groups, I started rounding up people who can come and reserved a table for 9 people. But as the evening rolled in, it went down to 7 due to last minute happenings. Robyn, Jessica, Ariel, Doug, Patrick, and Helen were the lucky ones who were able to join in on the tapas feast. Ariel, Jessica, and I arrived to Alta earlier than expected since P*Ong is about 3 or 4 blocks away. 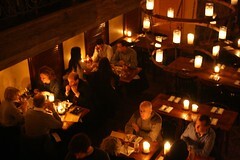 The place was packed and it’s clamoring with people at the bar who probably left work and chill out there. We checked in with the host and he walked us up to the second floor where the kitchen is located and he walked to the back. I hesitated to follow him for a few moments since I was wondering, “Am I supposed to enter the kitchen?” But I proceeded along with everyone else and discovered that I reserved a table that’s in their private dining room. 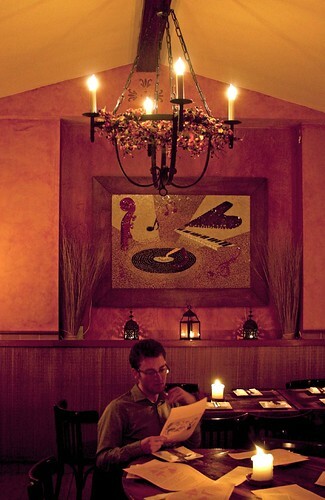 As you’ll see the photo below, you know how it kind of looks like (with Ariel perusing the menu). We got the private party room! 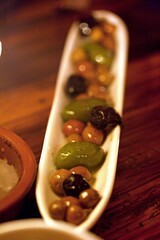 We all perused their lengthy tapas menu and thought long and hard what the heck do we want to eat. The waiter wanted us to use one of those menus and check off what we want to order since we’re a large group, it’ll make our lives easier. Ariel suggested that each of us to pick two dishes since it should be about enough food to go around for everyone. Despite the fact we did joke about having the “The Whole Shebang” for $350, we checked off a little less than a third of their menu (technically about 31%). While we were deciding our orders, one of the hosts came to our table and asked us, “Are you going to stay here the entire night? We have another group coming around 9 and we need this table if your party isn’t complete.” We all know that we’re not going to linger that long and we said, “No.” He left us to our conversations and Helen and I felt a bit annoyed about that announcement. Anyways, we passed the menu to our waiter and let the kitchen work their magic to create a feast of 14 dishes in less than 2 hours. We started out with three dishes: the Tuna Tartare, the Philadelphia Truffle Surprise, and the Lamb Meatballs. 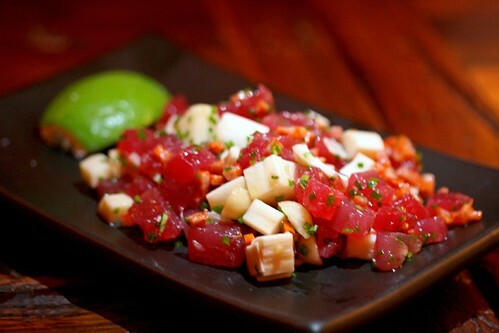 The tuna tartare was tasty – the silky cubes of fresh tuna with crunchy bits of macadamia nuts, hearts of palm, and a slight spicy kick from the chorizo sausage. The Philadelphia truffle surprise was one of the few dishes that I tried last time, and I still find it to be very good. 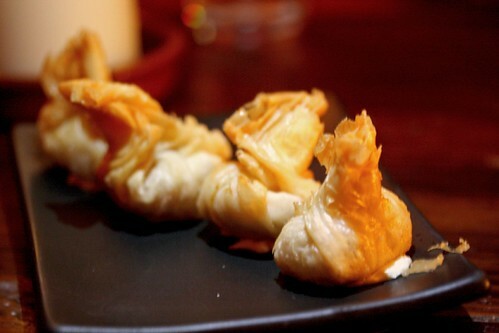 Deep fried puff pastries encasing the creamy, musky truffle-oil infused goat cheese – how can you go wrong with that? 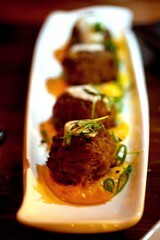 Then the lamb meatballs, which were recommended by the waiter, was a hit as well. The melt-in-your-mouth meatballs with a touch of anise-y flavor to mask the gaminess of the lamb with toasted sesame seeds and lebne (a type of soft cheese made from yogurt) accompanied with a dollop of spiced butternut squash foam. Just to note, the foam isn’t really the foam you would normally associate in restaurants, it’s more like whipped butternut squash mash. I know it doesn’t sound so elegant but that’s what it was basically. Then the servers started to cram our table with almost everything we ordered! Not only the fact that we’re overwhelmed with so many dishes within a short time span but also we’re passing plates around so the food photographers (Robyn, Jessica, and I) could take snapshots. The coca was very good. 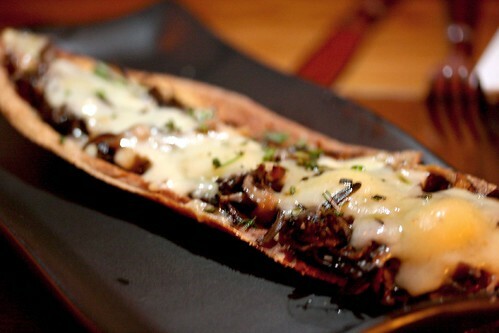 It’s basically a long, über thin bread that’s been smothered with chopped, roasted mushrooms and boschetto truffle cheese and ricotta with herbs. This particular dish is for the fungus and cheese loving crowd since the earthy flavors of the mushrooms and truffle from the cheese, oomphed with the silky-creamy textures with the ricotta. The long, skinny plate of Bella di Cerignola, Moroccan cured and Arbequina olives I do admit, I didn’t try since I don’t exactly care for olives that much. I do appreciate it’s briny and salty taste that it contributes to dishes but I don’t like eating it alone. But that’s just my preference. The sea scallops with artichoke puree, yuzu mayonnaise, and salmon caviar was fine. The sweetness of the scallop was contrasted with the tart, citrus-y yuzu mayonnaise and the salmon caviar brought a salty flavor to the party, along with the playful “pop” texture when you bite on it. 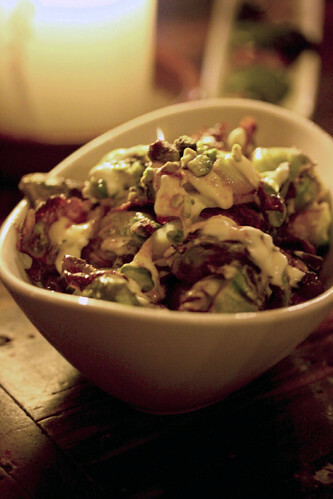 Then I moved onto my favorite dish from Alta – the BRUSSELS SPROUTS. You know I don’t normally capitalize any food’s name but this is worth screaming for! The crispy, fried brussels sprouts, mixed with sweet chunks of Fuji apples, rich tartness from the crème fraiche, topped with crunchy pistachio nuts. Jeebus, I wouldn’t mind eating pounds of these… But then again, the health benefits of brussels sprouts have been depleted from the frying part. Oh well. The smoked eggplant and lebne dip with za’tar, honey, mint lemon zest was tasty. The smooth, slightly smoky eggplant puree was interesting minty, anise-y notes from the za’tar. Nothing much notable about the bread served with the dip except that I preferred it to be toasted or warmed. The peperoncino spaghetti with bottarga di muggine, dried bonito & shrimp oil & pepper cress was a good pasta dish. Its salty nuances from the bottarga di muggine (it’s grey mullet roe) and dried bonito used in this dish and the creamy sauce that dressed the pasta lightly. The rabbit confit with trofiette pasta, sunchoke puree, speck, soft boiled egg and fresh oregano was not what I would imagine what it would taste like. Why? Well, this is technically the first time I’m eating a bunny. Confited. 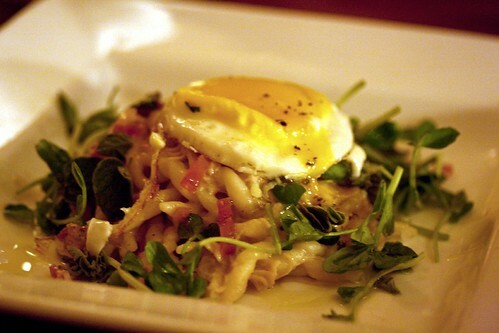 This dish is more pasta-centric more than the rabbit since it looked like eighty-percent pasta and twenty percent of everything else bunny, seasonings, and soft-boiled egg. Moving on, this dish tasted fine. I guess my tastebuds don’t really like the flavor of a rabbit since it does taste a bit gamy to me that it needs more herbs or something to hide it. But the pasta, egg and everything else was tasty and nicely seasoned. It’s arguably one of the least stellar plates of the evening. 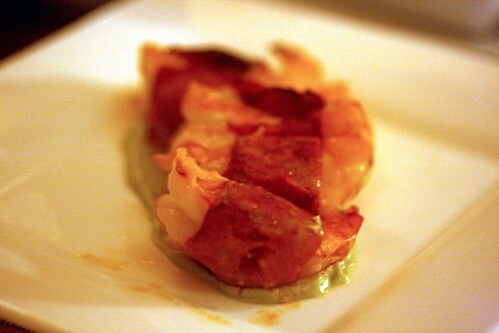 The grilled chorizo wrapped Gulf shrimp was another familiar dish. Somehow I’m still not swayed with the fact that the chorizo’s skin is a bit too rubbery for the shrimp that the textures don’t meld well. 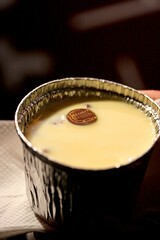 But it still tastes good – the slightly spicy sausage cooled by the creamy, tart avocado mousse. The fried goat cheese with lavender honey was still as delicious as I remembered it. 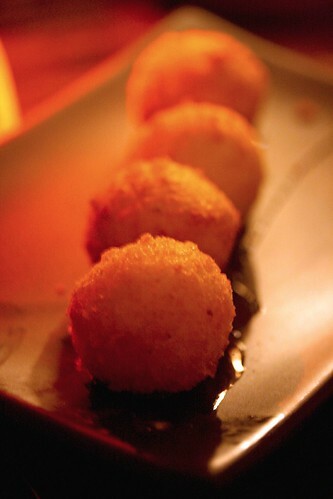 The thin, crisp exterior meets the velvety thick and tangy goat cheese sweetened with the delicately floral honey. 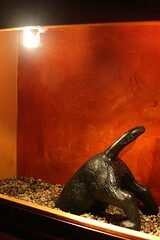 It’s one of the favorites for us. 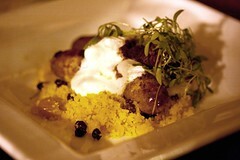 The house-made grilled merguez (pictured on the right) with couscous, lebne, and harissa was an ok dish to me. As much as I like the elements of the dish, nothing really stuck out on my mind in terms of flavor. In terms of the caramelized cauliflower that was recommended in Chowhound, I’m not lauding it to the same level as the delectable brussels sprouts. 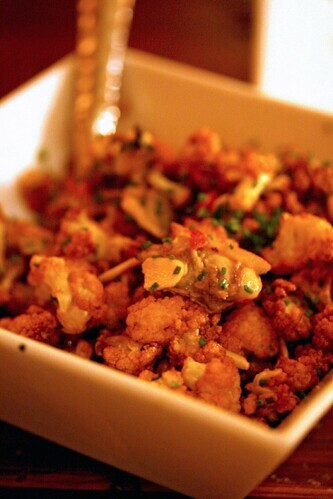 It was respectable in terms of making cauliflower intriguing with the sweet, chewy raisins and spicy chorizo. Despite there were manila clams in this dish, somehow I missed out and didn’t get to taste that part. 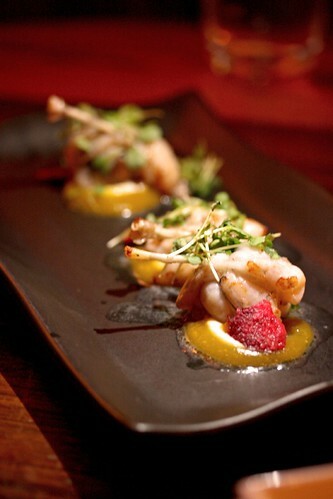 The frogs’ legs with cauliflower walnut puree, saffron pear, beet chips, and micro arugula was another ok dish to me since I don’t really like frogs’ legs that much. It’s something odd about eating the flesh of a frog that tastes like a cross between fish and chicken. It alienates my tastebuds that it wants to reject it. But it ain’t so bad with the other accouterments that accompanied this dish that it ameliorates the fishy taste by a fraction by bringing in some nutty and fruity flavors to the frog leg. This photo is meant to indicate that I’m not a voracious (to a certain extent) person and I did eat with other people. It was a lot of fun being fed without a break but I hated the fact that we finished in less than an hour! From the now two times eating here, I don’t understand why the kitchen cooks their food so quickly. As much as I appreciate the fact that I could get my food almost instantaneously, I would like to take my time eating without being rushed out the door. Anyways, the good part that our check for the dinner came out to be approximately $22 per person, which is basically a steal for dinner in New York City. Originally I invited K to join us for dinner but she can’t due to work. However, she told Robyn and I that she would be able to join us after dinner. For dessert. Yeah, I’m going for another round of desserts since Ariel and Robyn never tried the Dessert Truck‘s dessert before. So, we all walked over to University Place and found a short line of people waiting for some inexpensive, gourmet desserts. Since I felt pretty full after eating at P*Ong and Alta, I didn’t wait on line. Knowing that Ariel have a large stomach capacity, he managed to get himself the chocolate bread pudding with bacon crème anglaise since it sounds strange (the bacon part, that is). I took a small spoon of his dessert and while it does taste really chocolate-y and gooey, I didn’t really detect much of the smoky bacon flavor in the sauce. Probably because I’m in a food coma that my tastebuds cease to work with my brain? But it’s not a bad dessert. Robyn and Patrick got themselves bomboloni, which is basically small, round donuts (except their version is fried brioche dough), that are rolled in cinnamon and sugar filled with vanilla cream. It’s tasty, not too sweet and it does satisfy the sweet tooth. But my stomach felt like it’s going to explode if I’m going to consume any more food! This concludes the evening of intense fooding, at least in my eyes. I think my body was having a hard time digesting food that week since it was Chinese New Year and my parents were cooking non-stop and feeding me like there’s no tomorrow. It was really great to get to see some of the people since my birthday lunch, meet a new reader, Patrick, and it’s always fun to eat out with Robyn, K, and Ariel. My goodness, what an evening of food. 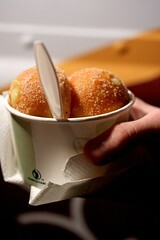 Gorgeous stuff, the bomboloni especially looks to be the perfect end to a truly great array of dishes. Thanks for sharing. Tara: Indeed it was… I don’t think I would do that in a while since my body can take so much food, despite my love for it. Anyways, the food were photogenic and it was quite a feast. Thanks for reading! 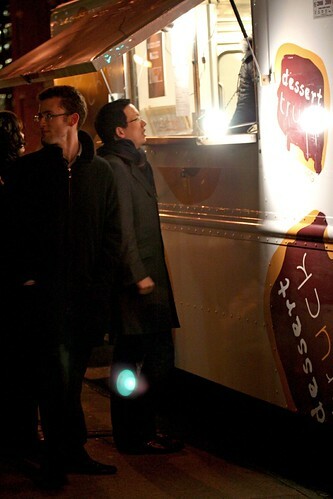 i learned of the dessert truck through your blog and just did a post about it this evening. i am really enjoying following along on your eating adventures. It must have been a bit tricky splitting the dishes between all 7 of you! Rich: Well, not really. It’s just a swarm of arms moving in front of me whenever someone wants a certain dish until we had a moment where we can eat and reflect. Splitting the dishes wasn’t an issue, just getting some food was. Wow it looks really nice. Remind me a restaurant in London! I was there too! Really nice place. A bit expensive!